I’m really enjoying knitting cowls. I still love socks but I’m taking a short break and knitting neckwear. 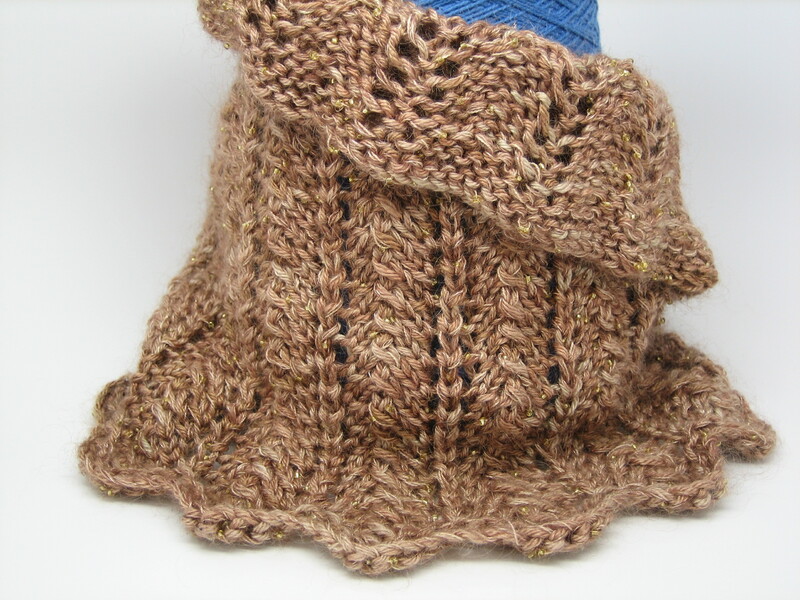 Cowls are fun in that you just need to knit one, and they can be made with so many different weights of yarn and patterns. This one is in Silky Sock with a strand of commercial yarn run along. I used 1/2 a skein so I have enough to make a second one as a gift. Its the same pattern as the Salusalu Scarf just knit in the round. Fun and easy, perfect summer carry along project.